"Tonight. Tomorrow. Next week. Next month. That safe place is me, Tabby." This was because he was holding me gently, rolling me, moving me slowly and carefully, like he didn't know I was awake and he was making a grave effort not to wake me. "Always and forever, baby, you're stuck with me." However, I was not aware that the Chaos series is a spin-off of the Dream Man series. I haven't read those ones yet, but I can say I'm about ten times more excited than I already was to do so. I probably missed some stuff reading THIS book (and, let's be honest, I'll probably read the next two Chaos books before I go back to the Dream Man books, too) first, but I had zero trouble following along with what was happening. So that's good info for you. And it's more than likely I'll be re-reading this one at some point (because I loved it), so I'll catch everything I missed then. When it comes to MC novels, I can be wishy-washy. I have to be in a very specific mood for bikers, otherwise I get irritated. 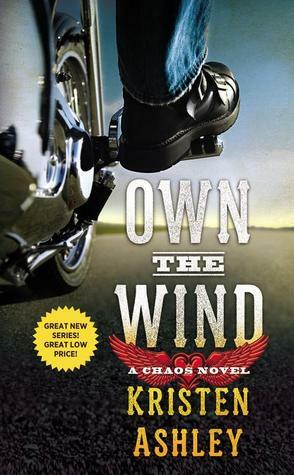 Not sure if I was in the mood for a biker book when I picked this one up, but I was certainly in the mood for a KA book, and let me tell you--she writes her bikers PERFECTLY. And by that I mean, I was completely down with this group. Specifically, I was down with Shy in this story. He was rough and badass, but he also had a delicious dose of sweetness in him that never failed to make me happy. He was kind and genuine. He was so incredibly easy to fall for. There was ONE thing regarding him not too far in that made me twitchy, but he makes up for it tenfold in the rest of the book. I got over it. And I ended up completely smitten with Shy. 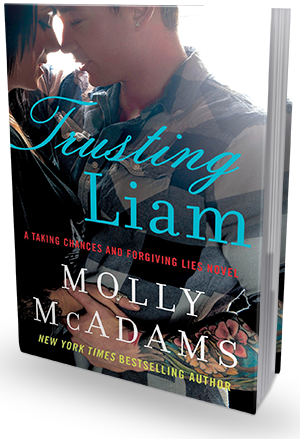 Tabby was cool, smart, stubborn, and all-around a darn good leading lady. She was by no means perfect, but I had a wealth of respect for her. I definitely did not mind spending a majority of this book in her head. The romance between Shy and Tabby was beautiful. The way they started with friendship and then shifted into more, falling in love all the while. The way they interacted with each other. The way they fought--and then always ended up working it out. Everything about them was fantastic. Shy wasn't a sweet, living the dream kinda guy...but he did it. With Tabby. And it was gorgeous. Honestly, I was caught between giving Own the Wind four or five stars, but the warmth these two filled my heart with--especially after reading that epilogue--pushed me firmly into five stars. No doubt about it. Kristen Ashley always spins stories that pull you in and hold you steady through the whole ride. Own the Wind was no exception. There's something amazing about her books that I can't help but crave. With all quotes, context is important. But I feel like that goes above and beyond with Kristen Ashley's books--because everything is heaped with so much meaning and beauty... It can be real, it can be raw, and it can be extraordinarily sweet. This book had it all, and I enjoyed every moment.